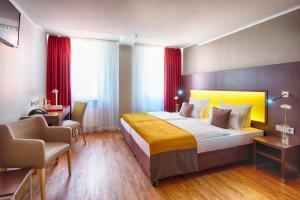 This hotel lies in a side street, just 50 metres from Munich Central Station. 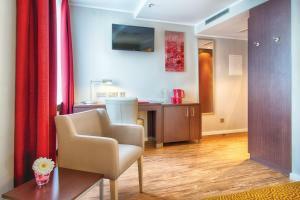 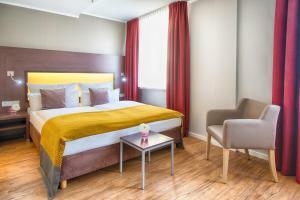 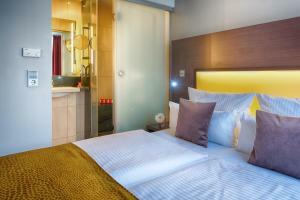 It offers free WiFi in all areas, as well as modern rooms with a flat-screen TV. 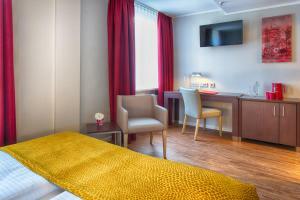 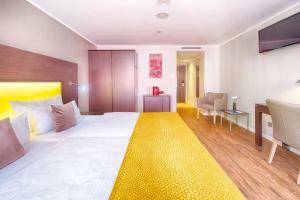 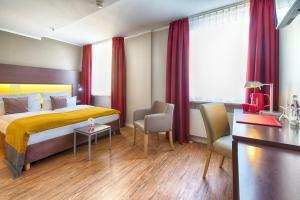 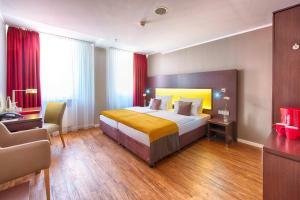 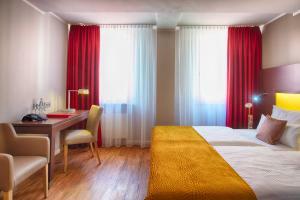 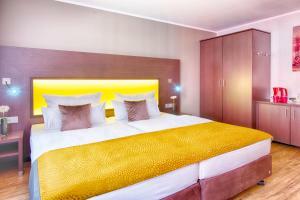 The bright, spacious rooms at Leonardo Hotel München City Center include tea and coffee facilities and a desk. 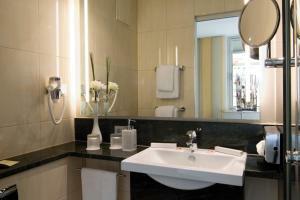 The stylish bathrooms have a hairdryer. 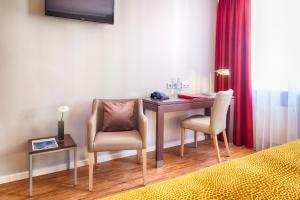 The Leonardo München offers a direct underground connection to Munich Exhibition Centre, and a direct S-Bahn (city rail) connection to Munich Airport in 40 minutes. 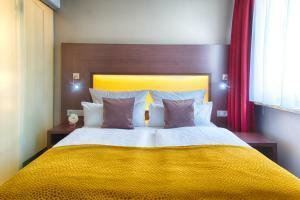 Please note that extra beds are only possible in the Deluxe category.